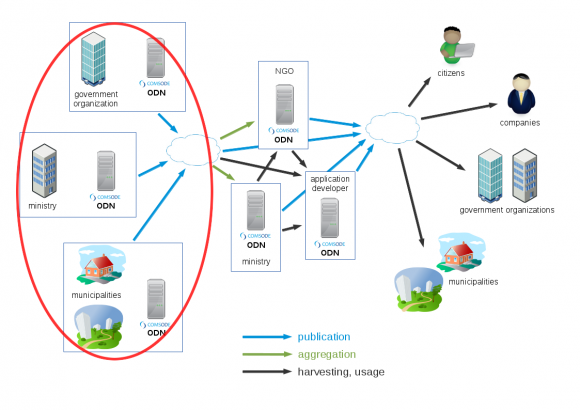 non-profits and application developers want to run specific tasks using copies of official data, for example analytic and visualization applications, data integration, etc. 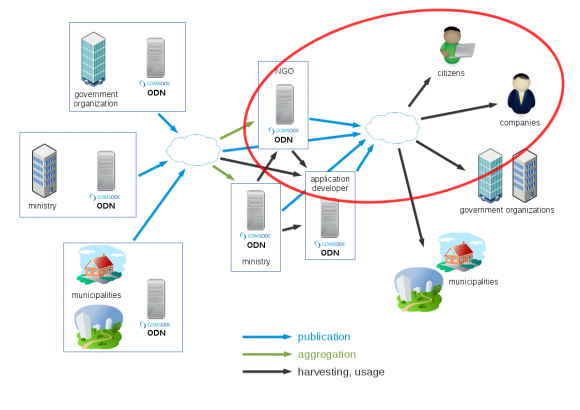 Publishers are using ODN directly, i.e. have it installed and maintained within their infrastructure, employing wide variety of options to achieve that (ranging from using it for free with support provided by own internal IT staff to purchasing a commercial support from companies with necessary know-how and resources). Application developers (SME, NGO, etc., public body too) can use one or more datasets (some Open, some not) in their applications. The main point in this case is to mix those various sources into one: one database or one triplestore, which is under their control and which servers as base for efficient functioning of their application. Imagine loosing money or customers just because a server operated by somebody else (public body, etc.) is down or is unable to handle properly all the requests an application is making. Note: We’ve already described one concrete example of this use-case, see post Building an application on Open Data with Spinque. 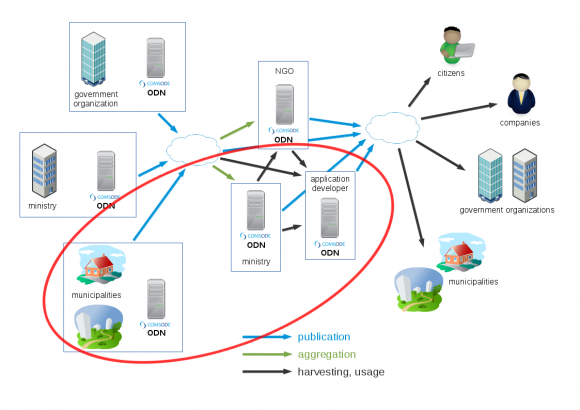 So in other words, consumers will be using data from ODN instance, usually not noticing that it is Open Data Node providing utilized “behind the scenes”. Peter H anečák is a Senior Researcher and a team leader from the EEA Company. At the same time he is the Open Data enthusiast.